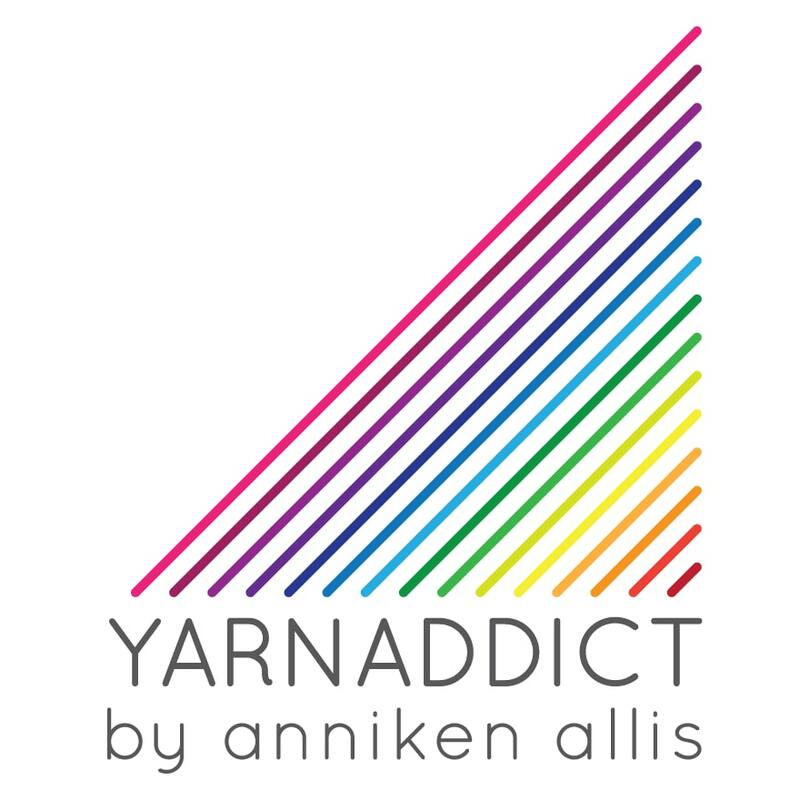 Confessions of a YarnAddict: How do you knit? One of the first things I say in any of my classes is 'Don't worry about how fast or slow you knit compared to the knitters around you. Work at your own pace. Knitting speed is usually based on your knitting style, technique and how long you've been knitting'. In all my classes the vast majority of knitters knit the English way but occasionally I come across continental knitters. Sometimes those are knitters who've been to one of my continental knitting classes and that's makes me feel very happy. And in the majority of cases I find that the continental knitters knit faster than the English style knitters. I used to get in a lot of trouble when I joined my first online knitting forum years ago for saying that I thought continental knitting was better and faster than English knitting but I think that I now have enough proof that it is faster. Most knitters who see me knit (and many non-knitters) say that they've never seen anyone knit as fast as me. This made me time myself and I can knit between 80-90 stitches a minute. My daughters say it looks like I'm knitting slower when I time myself than when I don't. Obviously speed depends on what I'm knitting. Those 80-90 stitches a minute is based on stocking stitch or garter stitch. Lace, cables and fair isle is of course slower. Incidentally, the current Guinness World Records fastest knitter is Miriam Tegel from the Netherlands who knitted at 118 stitches a minute. She is a continental knitter! The previous record holder before that was Hazel Tindall from the Shetlands. I do have a secret ambition to one day beat the world record for fastest knitter but I'm a way off yet. I'm practicing though. So why is it so important to knit faster? It's not really. If you knit slower then it takes longer to finish what you're knitting and that means you get more value for your money, ie more knitting time, from your knitting. But if you've got a very long knitting wish list then you may want to be able to knit faster. But continental knitting isn't only about speed. It's useful to know different ways to knit. If you knit a lot every day then you're at risk of repetitive strain injury and being able to vary your knitting style may help avoid this kind of injury. A lot of knitters use a combination of English and continental knitting when they knit fair isle patterns. Knitting one strand English and one strand the continental way. I do Norwegian purl which means the yarn stays at the back for the purl stitch. This means there's no flicking the yarn back and forth when changing from knit to purl and it makes combined knit/purl stitches like ribs and moss stitch much quicker. The Norwegian purl is slightly more difficult to learn and it does take a bit of practice to work up speed. My Continental Knitting with Norwegian Purl & Long Tail Cast On class is my most popular class! There's a lot of English style knitters who want to learn a different way to knit. If you can't make it to one of my in person classes (I'm teaching 2 classes this November and December at Spin A Yarn - they may be full but if you're interested call the shop). Helen: 'The first time I've ever taken an online course and it was just AMAZING. Anni is a wonderful teacher. Can definitely recommend it' and 'Please sign up to Anni's online course. It has changed the way I knit and it is amazing faster. I have better tension'. Sue: 'The very clear, concise knitting video was so easy to follow; really enjoyed it. Now all I need is practice'. Valora: 'Yay it has improved my knitting so much'. Ripping Yarns: 'Great course, it really helped me understand why I was making mistakes when I tried to purl'. After my first online class Sarah wrote this review. Here's a video I recorded to promote this class (I do knit slower in the class videos so you can see clearly what to do). The class will cover the continental knit stitch, the Norwegian purl stitch and how to do the long tail cast on. A lot of people don't like the long tail cast on because they find it difficult to estimate how long a tail to use. I'll share my foolproof way of estitmating the tail and what to do if you do run out of tail before you finish the cast on, because sometimes we all make mistakes. The long tail cast on is also incredibly fast and with practice you can cast on hundreds of stitches in minutes. The one time I timed myself I cast on 300 stitches in 6 min 50 secs. The class is run on the Ruzuku platform and you can watch the class material, which is mainly video but some pdfs too, any time you want to and as many times as you want to. The course will run for one week with videos released daily or every other day. But if you don't have time to watch them during that week or you get behind you can watch them at any time. You keep indefinite access to the course. You can ask questions in the class space and you can even upload videos or photos to accompany your questions. So if you're not sure if you've got something right, record a quick video wtih your smart phone and upload it for me to advise you on. So if you can't make it to one of my LYS classes this is the perfect opportunity for you to take this popular class. You can sign up here. Please note that as Ruzuku is an American company the sign up fee is in dollars. It's US $40 which at the moment is roughly £25 but exchange rates may vary. Payment is via Paypal (you can pay even if you don't have a Paypal account) and Paypal will do the currency exchange automatically for you. Continental knitting rocks!! And yes it is faster than English.